i bet you knew it contained chia seed oil, given my obsession with it for all things head to toe. want an oMega-glow serum to use daily instead of a mask? leave out the spirulina and use the oil blend! please store in the fridge to keep the chia seed oil from going rancid. 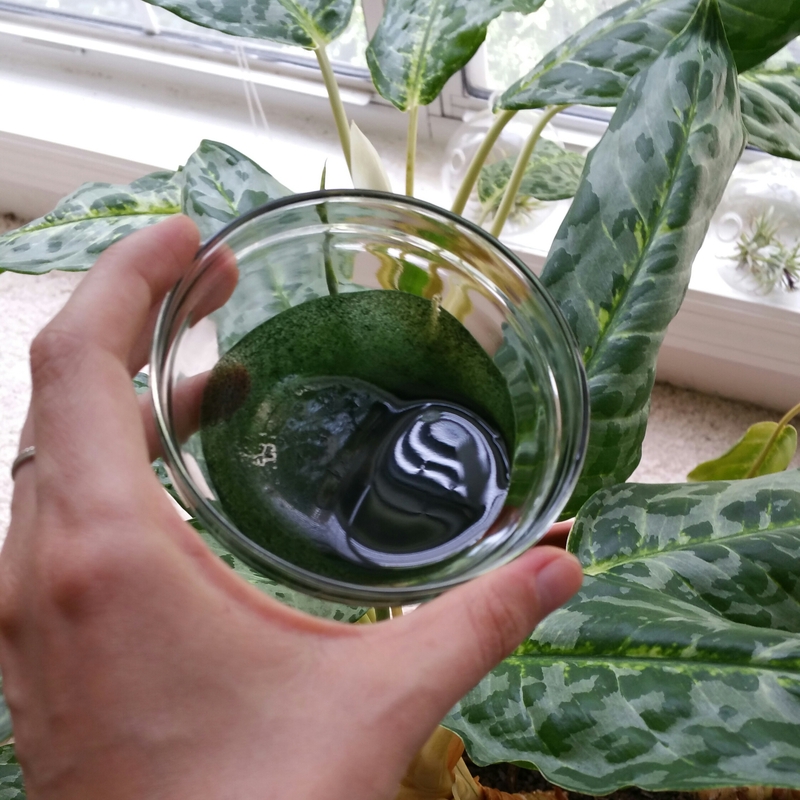 there are algae extract oils out there you can use if you still want to keep the additional renewing and nutritive properties from the spirulina. tip 1: instead of using water to dampen your skin before applying this mask and after to wipe it off, use your favorite hydrosol. steeting clear of water will help you avoid moisture loss. i personally love rose water from Inflora Botanica. tip 2: use a black washcloth to wipe this off, as the algae and sea buckthorn oils can stain fabric. tip 3: spirulina and raw chia seed oil both need to be kept tightly sealed and stored in the fridge. will you be trying this? do you already love and use any of these ingredients? leave your favorite nutritive face mask recipes below!